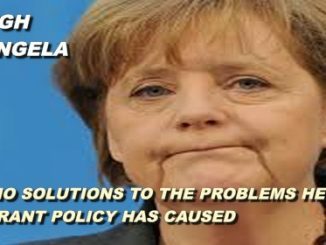 In Germany, the anti-immigration Alternative for Germany Party is challenging Chancellor Angela Merkel and her Christian Democratic Union (CDU). In France, the right-wing François Fillon will face the even more right-wing politician – Marine Le Pen. In the Netherlands, the far-right Geert Wilders is adamant in his desire to win the election and replace the governing centre-right leader Mark Rutte. The Czech Republic will hold elections in October 2017. ANO, a protest movement headed by Andrej Babiš, a billionaire businessman and finance minister, is making strides toward victory. Horrible terrorist acts, shaky security, economic stagnation, the falling living standards of middle class and the growing number of areas hit by recession – it all takes a toll. Nothing can prevent the right-wing forces from making gains, except drastic changes in the policies implemented by ruling elites. In the United States the Breitbart News Network, a far-right website of dubious reputation founded in 2007, had not been considered as a serious outlet to influence people’s minds until the recent election. Now the mainstream media republishes its stories. Many Breitbart publications hit the radar screen to influence people’s views. European politicians are taking measures to fend off the threat. No, they aren’t putting forward proposals to drastically change the immigration policies. Neither are they coming up with new ideas on how to revive the EU and review the internal and foreign policy priorities, nor are they making a contribution to fighting the Islamic State and other extremist groups. No time for such side issues! Instead, they are busy fighting the new-found enemy – fake news which is threatening their power. Finger pointing has started. There must be someone to blame, after all. Here is a good example. This month, the Dortmund police were forced to call out a fake Breitbart News report. The story claimed that in Dortmund a mob set fire to a church at a New Year’s Eve gathering «around the flag of al-Qaida» chanting «Allahu Akbar». The police stated that nothing like this happened but the fake report went viral. It’s worth noting that Russia has nothing to do with the Breitbart News and its publications. Last year, German provider Deutsche Telekom came under cyber-attacks. There was no smoking gun but… «hints» were dropped to point a finger at Russia. Chancellor Angela Merkel said in November, «Let me just say that such cyberattacks, or ‘hybrid attacks’ as they’re known in Russian doctrine, are part of everyday life today, and we need to learn to deal with them». Translated into plain language it sounds like this, «If I lose the election, Russia will be blamed». Hillary Clinton has already resorted to this trick. This month the Czech government launched a specialized anti-fake news unit ahead of legislative elections scheduled for October. The new Centre Against Terrorism and Hybrid Threats began operating on 1 January with 20 full-time specialists. The goal is to educate the public about the difference between news and disinformation. The specialists scrutinize disinformation and attempt to counter it via a dedicated Twitter account and a new section of the interior ministry website devoted to communicating the government viewpoint. Sweden was shocked when Abraham Ukbagabir, an Eritrean asylum seeker, killed innocent people at an Ikea store in Västerås. He did like the decision of the authorities to deport him. The migration policy is the responsibility of Swedish government. It’s not fake or anything else but the government who is responsible. No doubt, this terrible event will influence the voters before the election. By no stretch of the imagination could Russia be involved in this tragedy. Stories related to the effects of European migration policy are spread around by Europeans – the very same people who are frustrated with Liberal political parties and will express their discontent through voting. They will do so because quite often the stories, fake or not, tell the same thing they see with their own eyes on the streets. Restrictive measures by authorities will only result in the opposite of what one would expect. Forbidden fruit is the sweetest. Formal denials will work like advertising. Looking for scapegoats to shift the blame on won’t help. The deeds to make people’s lives better are the best way to gain voter support. Changing the immigration policy will be much more effective than pointing a finger at someone who has nothing to do with the problem besetting Europe. 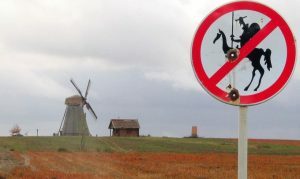 Bringing in more immigrants while spending time and effort on fighting fake news and blaming Russia for each and everything going wrong is like tilting at windmills. This ridiculous policy won’t win public support. It is doomed to fail.